Austria's Finance Minister Maria Fekter has been patting herself on the back and comparing herself to a lion - promising on the occasion of an Ecofin meeting on April 12-13 that she had had to 'fight like a lion' to protect Austria's status as a tax haven, by insisting on making no concessions on banking secrecy. She is certainly combative, as showed by her fights with fellow European leaders, all of whom want to push forwards with financial transparency to help cash-pressed governments start to collect some proper tax revenues from their wealthiest citisens. We at TJN are not comfortable with her self-bestowed title 'lion' We don't believe that that noble animal would want to be chosen as an emblem as the protector of the global criminal underworld. For - and make no mistake - that is what Fekter is fighting for. But we know that Fekter is pushing against a powerful tide of history-in-the-making here. She is refusing to see the obvious. Luxembourg and Switzerland have for years insisted that their banking secrecy is not up for discussion - but have eventually understood that providing a hothouse for the tax evaders and other criminals of other nations is not a particularly wise course of action. We don't think that vowing to persist in engaging in economic warfare against other nations - which is exactly what Austria is doing by clinging so violently to its banking secrecy model - is defensible in the modern world. So we've settled on 'ostritch.' (Thanks Markus!) And she certainly does have her head in the sand. Those words of Semeta's are tremendously important, and we'll return to them. For some time a complex political chess game has been playing out where Switzerland, outside the EU, in partnership with Austria and Luxembourg inside the union (with various other secrecy jurisdictions riding on their coat-tails), have been blocking the progress of the all-important Amendments. Whereas most of the 43 jurisdictions transmit information, these recalcitrants have clung to a model where they merely levy withholding taxes on cross-border income and remit it to the account holder's home jurisdiction. They are blocking the Amendments, which would require them to switch to automatic information exchange. "Austria has sent mixed messages on this ahead of a EU summit in May supposed to address the matter. Conservative Finance Minister Maria Fekter has defied pressure on Austria to automatically exchange data on foreigners, while Chancellor Werner Faymann, a Social Democrat, has said Austria may do so as long as its citizens' details stay confidential.
. . . "We want to preserve banking secrecy for Austrians. That is the big difference we have to other countries," he said." This Reuters exploration of Austria's long and unhappy history of a love for financial secrecy is worth reading, even if it doesn't put in much effort to skewer the arguments of those who are saying it's a good idea. There is the clear makings of a compromise here: Austria can keep its secrecy for its own citizens (if it's happy to tolerate criminality in its own country) while ending it for foreigners. That should satisfy the EU and unblock the blockage. Why doesn't Fekter just throw in the towel now, rather than backing herself into a corner and bringing down opprobrium on Austria's head? 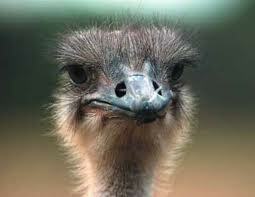 The Austrian Ostritch is clearly deeply confused, and doesn't really understand her brief very well. First, she says clearly that "Austria is not a tax haven" and then fights furiously for banking secrecy. Yes, well, she might like to reflect briefly on the teensy-weensy contradiction there. And of course when it comes to the term 'we are not a tax haven': they all say that. "We can not wait until all tax matters with Switzerland are negotiated by the European Union. This has taken 20 years and we think this is certainly far too long." Yes, Mr. Schieder: that's because your country has been helping Switzerland block progress. We can also point to the unedifying spectacle of what happened when Austria was signing a useless bilateral deals with Liechtenstein (as one element of the chess game aiming to kill progress on transparency). Fekter insisted that loopholes be carved out for trusts administered in Liechtenstein, helping Austrian tax evaders. (Rough web translation of that here.) Astonishingly, she insisted on a move that would damage Austria's tax revenues, not those of other countries'. A rather odd move for a finance minister, one might think. Austria is a relatively small tax haven in global terms, but because of its ability to block transparency in Europe it is currently a very dangerous player, and the friend of the world's criminals. It is now essential that Austria - and its resident Ostritch - be ostracised from polite society in Europe. Endnote: a number of countries in Europe have promised to push forwards an alternative U.S.-designed transparency model that has been mis-named as "Fatca" bilateral agreements, supposedly similar to the Fatca model designed by the U.S. but in practice much narrower. However at this point we believe these will not conflict with the EUSTD, but could serve as useful if limited addtional tools. That is an important topic in its own right but not in the scope of this blog. Read more on that here. The key point is that these bilateral deals should not distract from progress on the Savings Tax Directive, and from the need for a truly multilateral, increasingly global system of automatic information exchange that includes the most important ingredient: deep, comprehensive and detailed customer due diligence procedures and protocols for identifying the beneficial owners of accounts, entities and arrangements.